There are countless histories of narrative film, but the documentary has never received its due. TO TELL THE TRUTH presents two films that place familiar historical events in a startling new perspective and help viewers understand the choices behind, and consequences of, on-screen "reality." WORKING FOR CHANGE, directed by Calvin Skaggs, explores the birth of the social documentary, featuring interviews with several members of the first wave of documentary filmmaking, as well as contributions from historians and critics, and a wealth of footage: essential viewing for anyone interested in film history and the power of media as a voice for truth-telling. 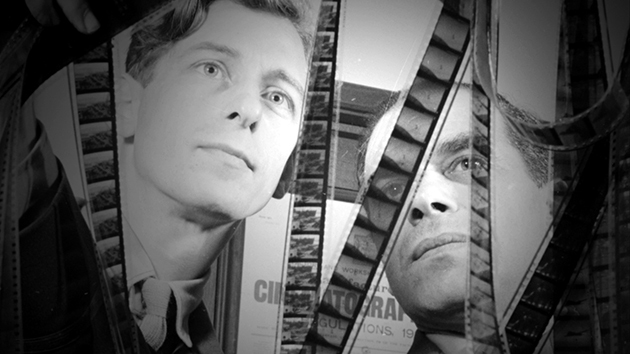 THE STRATEGY OF TRUTH, directed by David Van Taylor, explores the role of film as propaganda during World War II, and the different forms it took around the world. It also raises the central question of whether a film can be both documentary-reflecting the truth-and propaganda. Featuring a wealth of archival footage from the British, German, and American propaganda effort, along with interviews with film historians and veterans of the celluloid war effort, the film illuminates the complicated relationship between propaganda and documentary.